Snapshot from the Pivot launch party at the iconic rare books room at Strand Books in New York City. A book lover's dream! Hi! I’m Jenny. I love helping people organize their brain. I’m an author, speaker, career coach and business strategist living in New York City. I’m fascinated by strategies for navigating change, and I geek out exploring systems at the intersection of mind, body and business. I live for helping smart, talented, optimistic people like you embrace chaos, fear, insecurity and uncertainty as doorways of opportunity. Whether you have hit a plateau in your perfect-on-paper job, are considering taking on a new role in your current job, are thinking about starting your own business, or you want to move into a new industry altogether, you've come to the right place. My motto? If change is the only constant, let’s get better at it. I love working with growth-oriented individuals to figure out what’s next and how to get there. My mission is to help people find their zone of genius and stay there, particularly those on the cusp of a major career or business transition. I launched my first website Life After College in 2005, then released a book of the same name in 2011. My book launch was the catalyst to finally take my side hustle seriously by turning it into a full-time gig . . . more on that below. I’m not perfect, and I don’t claim to have all the answers. But I love sharing my own process, tips and tools to help you get insanely organized, inspired and ready to take action. Not in the name of hamster-wheel productivity of course, but for the sake of big ideas, freedom in business-building and your daily bliss list. I hate to be the bearer of (semi) bad news, but the things that scare you sh*tless require action before they reward you with the courage cookie to keep going. Big undertakings require a belief — even a tiny microscopic spec of a belief — that you can and deserve to give something your best shot, regardless of whether you succeed or fail. I’m guessing that’s at least a small part of why you’re here. In 2011, the same year my book came out, I made a conscious choice to get off my own treadmill of expectations and preconceived notions of success. As terrified as I was by the prospect of failure, I knew it was time to build a business that fit my life, not the other way around. So, after two years at an Internet start-up followed by five and a half years at Google, I left corporate life in 2011 to focus on serving others and building my business full-time, and to unequivocally prioritize my health and happiness while doing it. I now schedule my days around fresh air and exercise, and I start each day by reading newspapers or non-fiction with a hot cup of tea in the morning. I often swap weekends for work days because that’s when I am most productive. I haven’t had a TV for five years, and with rare exception I eat “clean” (minimal gluten, dairy, refined sugar, or alcohol) because I feel light years better and more creative when I do. And . . . I still sleep with the teddy bear I’ve had since I was six. BUT THAT’S JUST MY WAY . . . If you could suspend all fear and practicalities, what would your next big move be? How would you structure your days? Your income? Kick off your shoes and get comfortable. I’d love to help you dig up and (re)discover your passions, interests, and big ideas as I explore the same. The welcome mat might have my name on it, but this is a place for all of us to learn and grow from each other. C’mon in and stay awhile! 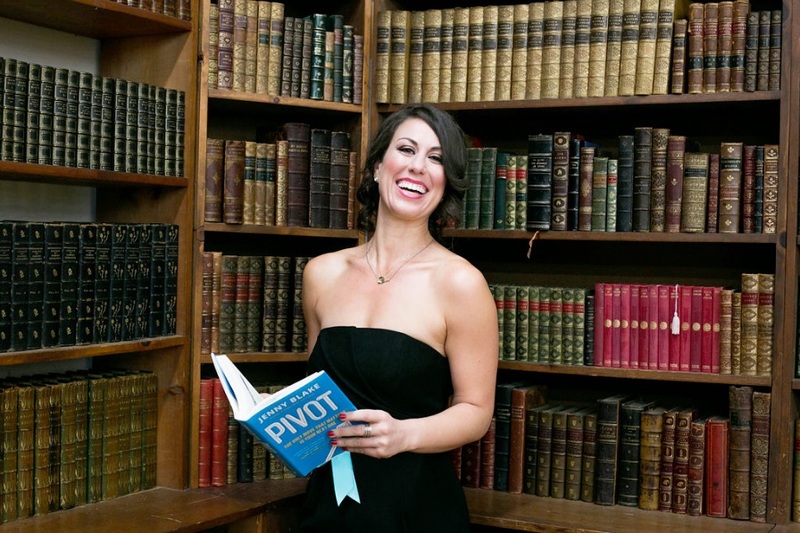 Dive into the free toolkit resources, check out the Pivot Podcast archives, stay up-to-date via my PivotList newsletter, hire a Pivot Coach if you're looking for more 1:1 support, or join my private Momentum community for side-hustlers and solopreneurs—I'd love to have you as part of the crew!